Indeed, U.N.’s Climate Change Conference in Paris during November of 2015 was classified as a resounding success. This COP21 conference culminated with the creation of the Paris Agreement, which is the world’s first comprehensive climate agreement that established the framework for dealing with greenhouse gases emissions mitigation, adaptation and finance starting in the year 2020. Now comes the hard part, implementing programs to achieve these goals. There is a little-known (unless you are in the transportation infrastructure sector and one of the 100,000 who plan on attending) conference happening in Berlin between September 20 - 23rd called InnoTrans 2016. Many of the world’s greatest thinkers will be assembled to share ideas around innovation in rail transportation. These people are responsible for developing and delivering technologies that will improve transportation, its infrastructure and its impacts on our planet – which is directly in alignment with goals of the Paris Agreement. InnoTrans is the venue where zero emission rail technologies are brought to life. One such technology is called Hydrail, or hydrogen rail, that promises cleaner rail travel thanks to a new breed of hydrogen-powered trains. "Hydrail is simply rail that uses hydrogen to carry energy onboard," states Stan Thompson, director of the annual International Hydrail Conference and chairman of the Hydrogen Economy Advancement Team. "This means is that intermittent renewables energy sources including wind, tide and sunlight can be harnessed to power something running on exact schedules, such as a train," he continues in a 2011 interview. "The primary advantage of hydrail is that it runs on ordinary track and the only new infrastructure needed is trains and/or locomotives and a very few fuelling points along select lines using the technology," explains Thompson. Advance the clock forward five years and this bold statement has become a reality with the trains being deployed that are powered with zero emission hydrogen fuel cells. 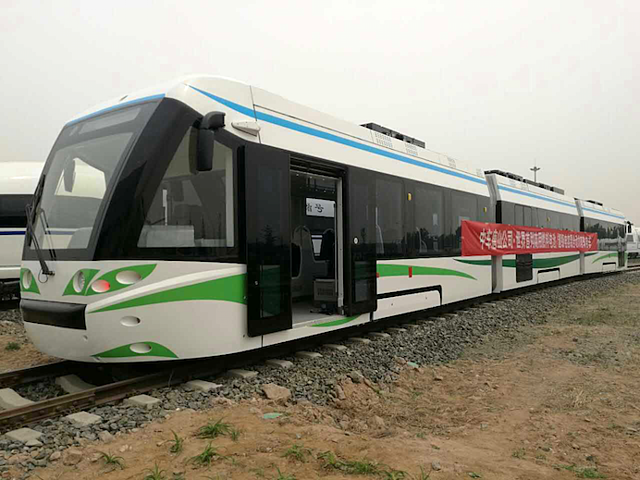 The world’s first hydrogen fuel cell-powered fixed rail electric tram was successfully demonstrated in China’s Qingdao, Shandong province this March. 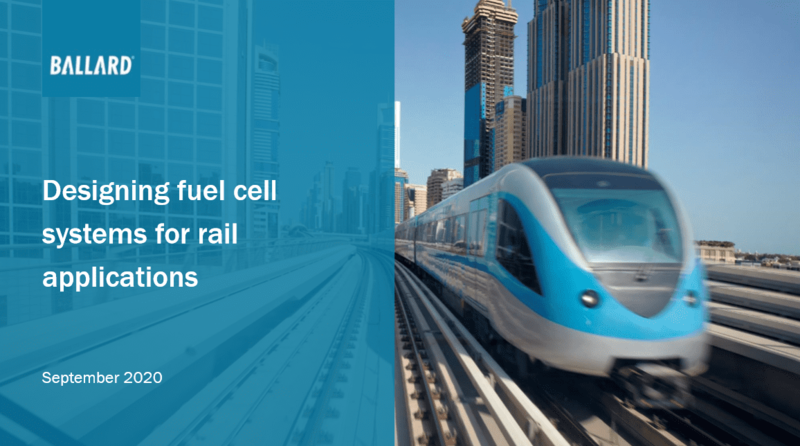 What are the Benefits of Fuel Cell Trams? There are several advantages with powering rail with hydrogen fuel cells including zero-emission operation that truly impacts climate change, but they extend beyond that. Other than the installation of hydrogen refueling stations, no additional infrastructure needs to be built. The track system already exists. Hydrail eliminates the need to electrify rail track networks that deliver electricity to locomotives pushing trains across the countryside. Thompson extrapolates that merely the incremental electrification of just one mile of track in the U.S. is likely to cost $12m. This means that if the U.S. diverted the cost of electrification for just 100 miles of planned High Speed Train electrification, we'd have $1.2bn in R&D to spend on developing wireless alternatives." If you see us at InnoTrans 2016, please say hi and start a conversation. Find out what we’ve learned and developed using fuel cell modules for heavy-duty motive modules outlined in our Hydrail presentation – click View Presentation below to download it. Learn more about Ballard's hydrogen fuel cell-powered trams in demonstration globally.